Design Analysis & Simulation - Windings Inc. Many large corporations employ engineers who are capable of designing an electric motor, but frequently motor design is a part-time job. Very few engineers are allowed the time and resources necessary to become an expert in the vast array of motor technologies available today and the ever-evolving methods of motor manufacturing. To adhere with set project schedules, engineers will often default to “what worked before” resulting in costly, sub-optimal results. 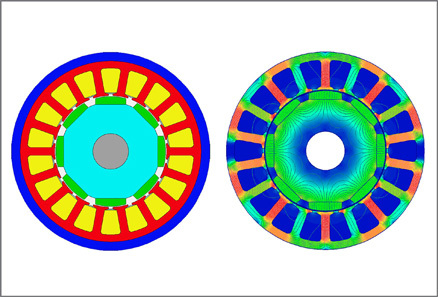 As experts specializing in electromagnetic design with access to the latest analysis and simulation tools, Windings’ engineering team can be an efficient resource to supplement your motor design efforts. Whether your challenge is aggressive performance goals, tight space constraints or survivability in a harsh environment, our engineers have the tools, experience and expertise to analyze your designs, simulate expected performance and provide recommendations for refinement to achieve optimal results.